Each year we make commitments to ourselves to improve our lives and our well being. If home is where the heart is, then it all should start there. This year, don't just make your house a home... make it your very own. Here are a few amazing remodel and decorating ideas to help spark your creativity and personalize your home. If you have a hard-floor living room, it can be hard to make it cozy and inviting. Add a large area rug to bring focus into the center of the room and see how warm it make the room feel. You will find yourself spending more time there and you may even begin to prefer the floor to the couch. Conversation pits can be a great way to really open up a room. Look at how much space created by lowering the furniture line. 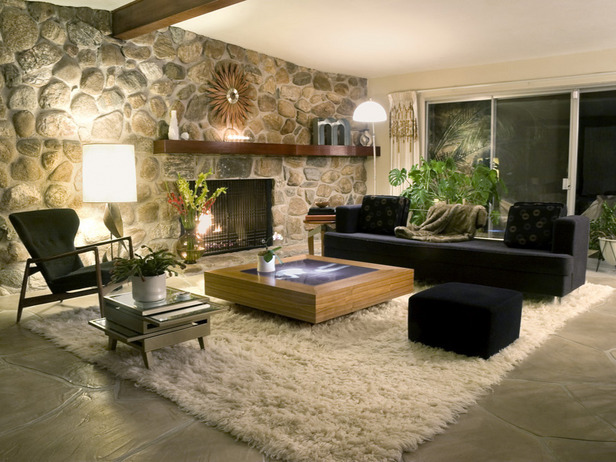 Make your living room look elegant and spacious by sinking the floor, that is, if you have that kind of foundation. 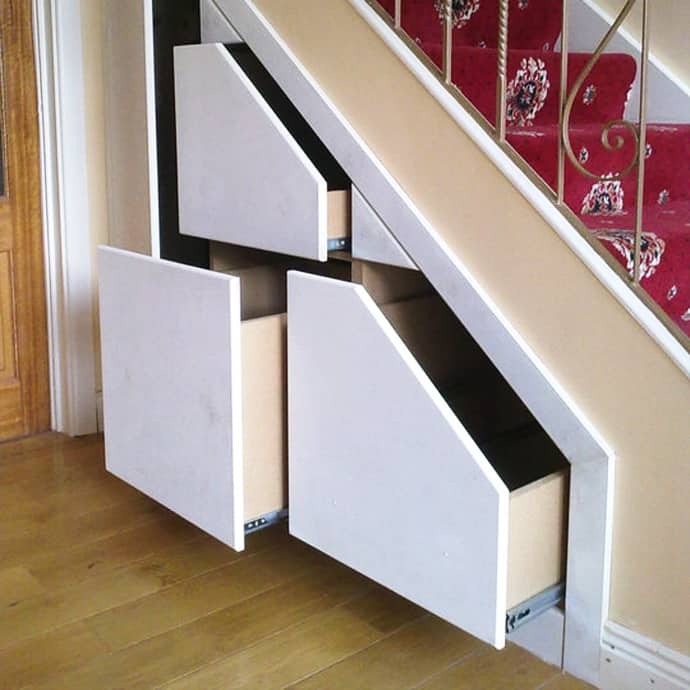 There is so much wasted space beneath a staircase. If you have stairs, you know what I mean. It usually turns into the "catch all" closet (if you have a closet under there) where all the odd and end cleaning supplies or blankets go. But, if you do it right, you can always make better use of that hidden space by adding drawers or even shelves along a bordering wall. Don't forget about a place for your pet to retreat and hide out. Just make sure you can get in there to clean every now and then. The under-the-stairs space is perfect for your furry family member. Think about how much time you spend cleaning the glass doors of your shower. You could be spending more time in the shower, but instead of cleaning, you can be relaxing. A nice open plan, doorless shower is just the thing to turn your drab bathroom into a day spa escape from the day-to-day chores. I don't even know how this one is possible, but I would find any way to make this a part of my baseboards. A wall slit that is connected to a central vacuum system. Perfect for sweeping up the smallest bits that you just can't get up with a dustpan. What are your tips or ideas for the coming new year?